Various committees are organized within JAIMA to respond to several requests from outside, and to submit the advice and action proposals to the board of directors. At present, the following committees are assigned to the specific tasks shown below. 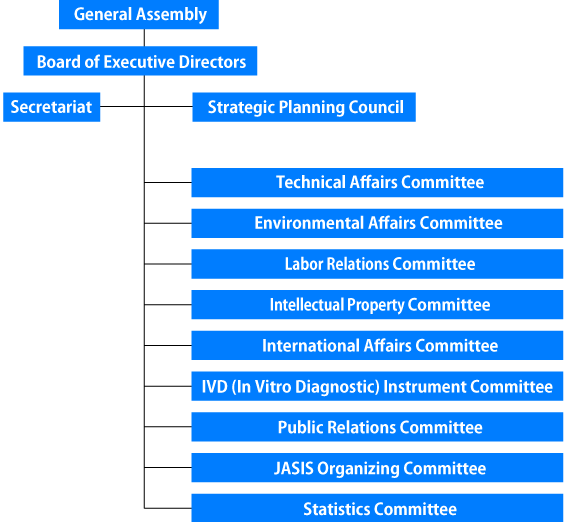 Each committee is made up of staff members chosen from member firms of JAIMA, approved by the board of directors, and commissioned by the chairman. Create guideline for JAIMA yearly business planning and budget. Coordinate projects related to multiple committees and follow up their progress. Conduct special missions assigned by JAIMA Board of Directors. Conduct study and researches commissioned from government agencies and other public organizations. Plan and organize seminars and lectures including conferences held at the JASIS. Establish draft on industry standards, Japanese and international both. Gather and distribute information relevant to environmental regulations. Conduct projects relevant to Measurement Act and related government policies. Plan and conduct studies on labor related subjects those are common to JAIMA members. Gather and distribute information relevant to Labor Act and related regulations. Study about intellectual property issues related to analytical technology and instruments. Exchange information with Patent Bureau and other organizations and share them with JAIMA members. 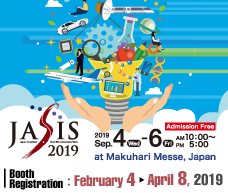 Representing in vitro diagnostic clinical instruments manufacturers, participate activities at Japan Federation of Medical Devices Association and international standardization projects. Gather and distribute information on clinical products technology and safety. Plan and conduct international exchange program with various organizations and associations overseas. Plan and coordinate participation to foreign exhibitions. Gather information on international market and share them with JAIMA members. Edit and publish JAIMA newsletters, manage JAIMA website and plan and publish press-releases and other JAIMA publications. 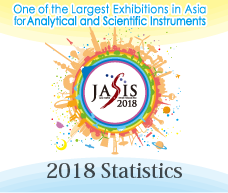 Plan and organize annual JASIS and its related events and conferences. Gather and publish statistical data of member companies, exchange booking statistics with USA & EU.